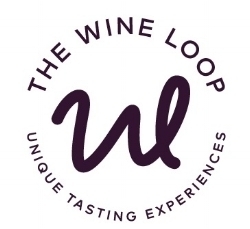 We are really excited to welcome Rutherglen winemaker Rowly to The Wine Loop. Self-taught, Rowly is passionately focused on making wines that juxtapose classic grape varieties and wine styles with progressive vision to redefine Rutherglen. His handmade and focused portfolio of white, red and fortified wines including Syrah and Durif are winning critical acclaim – and shaping thinking about the next era for one of Australia's historic wine regions. With just 12 seats at the table, join Rowly for conversation, insights and a guided tasting of his hand-selected wines over a 5- course dinner crafted by Yagiz Head Chef and owner Murat Ovaz. Delivering "all the flavours of Turkey, with a modern, unique twist”, Yagiz opened last year – and was awarded an Australian Good Food Guide Hat after just 10 weeks. Book now for a unique evening of great wine, great insights, great food - and great conversation.